What has happened to West Ham? It all looked so good going into the 2016/2017 season for West Ham fans, after what can only be described as a great season in 2015/2016 it all looked great. A manager who was getting the best from the players, a team that worked so well together and so hard for one another and a brand new stadium to push us to that next level. A level we had always aspired to be at, a big club, one well known and that can compete with the big boys and attract those star players in world football. After finishing the previous season 7th and on a record number of 62 points it all looked very promising, we had some outstanding results that season and outplayed the big teams on pretty much every occasion. 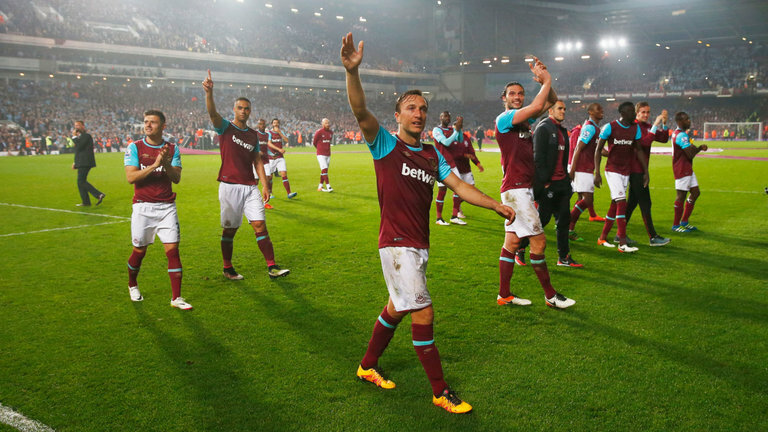 The send off we gave to Upton Park was memorable, that game gave me goosebumps and even being bed ridden and very ill you can bet I was jumping around and running around my house like a raging lunatic. The show afterwards was very fitting for such a legendary ground, having been a fan all of my life it felt like saying goodbye to a dearly loved family member, I only wish I could have been there for that one final goodbye. Such great memories and such a great atmosphere the fans created week in and week out, didn’t matter if we were winning or losing you knew those fans would not stop shouting and singing right until the final whistle. Everything was looking up for us Hammers fans, if you had asked any of us where we thought the club was heading 99% of us would have said 16/17 would be a top 7 finish a cup run and give Europa League a good shot. How wrong we were……..
Fast forward to the Summer transfer window, a window we were all waiting for and expecting big things and some good transfers. We were promised a £30 million goal scoring striker which I think was stupid to announce as clubs know we were willing to splash the cash, I don’t and never will agree with owners talking about what we want to do in a transfer window. This was our big chance, European football, a great base of a team to build upon and a new stadium, if there was ever a time to spend big and get an even better squad this was it. The fans were promised so much for this window and we did not get anything close to the promises made by our owners. As we have all seen now this is not how any of it panned out, I am going to run through the transfers and give my opinion on the players and what they have brought to the team and what should happen with those players. Andre Ayew – £20 million from Swansea – We all know he is a very good player and proved that in the previous season, he knows where the goal is and we even went for him on a free the season before but couldn’t match the wages Swansea were offering. He was unlucky to get injured in his first game for us, I have seen fans write him off already and I don’t agree at all. I really think Ayew will turn out a good signing for us and he will soon start paying back that transfer fee. Arthur Masuaku – £6 million from Olympiacos – If I am being honest I had not heard of him before he signed and didn’t expect too much as he was cover for Aaron Cresswell. Yet again I have seen a lot of fans saying he is not good enough due to one bad game against West Brom. In previous games he showed he is a solid player, great work rate and willingness to get forward, he needs to work on his defending and positioning a bit more but as a back up player I am more than happy for him to be with the club. Edmilson Fernandes – £5 million from FC Sion – Yet again another player I knew little about after we signed him, so far I have been very impressed with the youngster. He is clearly talented and I hope he stays with us for a long time, he has pace, vision and great footwork. He is still young and can learn a lot from players such as Dimitri Payet. He has proved he is versatile and fits great into the team. Lets hope we keep him and he starts to feature more in the team. Simone Zaza – Loan from Juventus – Where do I start here? We are promised all Summer long a goal scoring £30 million forward and we are given Simone Zaza. I had seen Zaza play a few times before for Juventus and he looked like he knew where the goal was and on a loan I thought well lets see what we are getting. It is now nearly December and I would be happy to never see him in a West Ham shirt again. He shows passion which I love from footballers but in terms of footballing ability and finishing he lacks an awful lot of it. His decision making is sub par and every time he has the ball at his feet he makes the wrong decision. Has never looked like scoring despite a good display against Crystal Palace which really just consisted of a lot of running and pressing the ball. I think he was a pure panic buy, we went for a lot of forwards and he was a last resort. Send him back to Italy in January and lets all forget this ever happened. Jonathan Calleri – Loan from Maldonado – I had heard a lot of good things about this guy, he was alleged to be a natural goalscorer and a real young talent. If you were to tell me that now I would laugh at you. This guy couldn’t score if there wasn’t a keeper there, he hasn’t had a great deal of game time and there is a reason for that. He seems to lack a decent first touch and just does not have that cutting edge in front of goal, which showed in the one on one against Bournemouth. Another forward to add to the two David’s list of West Ham’s forwards that just are not good enough. Send him back in January. Gokhan Tore – Loan from Besiktas – This was a player I really wanted at West Ham, Bilic’s golden boy and had done so well in Turkey, young player who was very quick and direct, he isn’t afraid to run at defenders and take them on. He was such a good player for Besiktas and when Bilic got his man that is what we thought we were getting. We got the opposite to that, pre season he looked out of shape and out of sorts, he looked clumsy and didn’t look anything we were promised. But it was only pre season so who cares. After then seeing him in competitive games I along with every fan knew he was nowhere near the Premier League level. Minus one assist against Bournemouth he has done nothing for us. Waste of a few million quid loan fee and should be sent back in January. Ashley Fletcher – Free from Manchester United – A young player with great potential and an eye for goal was what I had read and being honest had seen him once or twice while on loan at Barnsley. I really like him, I think he is one for the future and if I am being completely truthful should have a shot in the first team, against Man City he played well and has great hold up play and for someone so young is calm and is happy to close players down. I would prefer him to start upfront instead of Zaza and he deserves a chance, worst case scenario he doesn’t score but at the moment none of our forwards can. Keep him and start giving him some more game time. Havard Nordtveit – Free from Borussia Monchengladbach – A past captain for the German team, a Norway international and a leader of men, it seemed like we were getting an absolute steal here. To get an ex captain on a free from a good team in Germany seemed to good to be true and it clearly was. He just has not adjusted to the Premier League, he looks clumsy and misplaces passes every game, he has been played as a CDM, CB and a RB. None of those positions have worked, RB is understandable as its not his position but the other two he should be comfortable for him. He has struggled in every game I’ve watched him in, the penalty he gave away against Tottenham was the final straw for me. He is not good enough for the first team and should be sold in January and replaced with a much better player. Sofiane Feghouli – Free from Valencia CF – An Algerian winger who I had seen play many times in La Liga and had seen he was good, quick and direct also a regular starter for the Spanish side. On a free transfer it is still a good deal. He has had limited game time due to injuries and the system we play, I really think he will come good for us as I know he is a good player and needs to get a run of games under his belt. I want to keep Feghouli and hope Bilic starts playing him more often. Alvaro Arbeloa – Free from Real Madrid – Who hasn’t heard of Arbeloa? He spent time at Liverpool and at one time was a regular at Madrid. Yes he is 33 but he was that right back and experience we were looking for at the time, I thought he would be a good signing and would teach Sam Bryam a thing or two. For some reason this transfer just has not worked at all. The games he has played he didn’t stand out at all, solid at best to be honest. I think we should sell him or release him in January and replace him. For so many reasons these transfers didn’t work out and all in all the whole window was a disaster from start to finish, if you look at our current starting 11 there is one or two signings from the Summer that play and that speaks volumes if you ask me. I really think we did not strengthen at all and we most certainly did not get the right type of players in. We should have gone domestic and signed proven players, we were crying out for a new right back and we went cheap and got Arbeloa, a poor decision on the owners/Bilic’s shoulders. We sold Tomkins who I still think was a ridiculous decision (Yes he wanted first team football) but he was a better right back than Arbeloa is. We sold Tomkins and didn’t replace him, Reece Oxford should be given a chance now and let us see how he plays in the Premier League if given a run of games. The £30 million striker was nowhere to be found and look what has happened, not a single or assist from a striker this season, last one I believe was Diafra Sakho against Man United in the final game at Upton Park. After failing to sign this £30 million man we panicked and brought in two unproven strikers on loan and it has shown how bad this decision was, Zaza and Calleri could play every minute of every game from now until January and would not score. In my opinion the reason summer 2016 was such a failure was because Summer 2015 we got good players for cheap and on loan such as Payet, Lanzini, Ogbonna and Obiang. And the owners thought they would be able to replicate this again the following summer, it massively backfired and apart from Andre Ayew signing and signing Manuel Lanzini permanently for £10 million we didn’t really splash out. What made it worse was missing out on Carlos Bacca, Christian Benteke, Michy Batshuayi (now playing in Chelsea Reserves), Alexandre Lacazette and turning down Wissam Ben Yedder for being to small to play in the Premier League, in my opinion the fact we turned him down was a bloody joke, he is a brilliant player and would have been an amazing signing. That was just a handful of forwards we were linked with. Yes the two David’s have been doing this for years but football now is different, prices are over inflated and you have to spend over the odds 99% of the time to get the quality you need. I have the utmost respect for the owners and I know they saved us from going under but they have to take the blame for a poor Summer window and they have to now make it up to us in January and open their cheque books and get in the quality needed to ensure we survive in the Premier League and push ourselves up the table. If I was in charge my top priority would be ship off the dead weight and replace with quality players, we need 2 strikers minimum, another winger, a first team right back and maybe another midfielder for strength in depth. I really think we should go for Michy Batshuayi on loan, he is not playing at Chelsea and I think he would score goals without a doubt. I do think the owners have their work cut out in January and only time will tell what they are going to do to try and save our season. The season didn’t start in great fashion, yet again being knocked out early in Europe by Astra Giurgiu (ASTRA GOO GOO) was awful, we underperformed badly in both games and it was very hard to watch us be beaten by a team formed of mainly part time footballers, it was the worst possible start to the season we could have asked for. Injuries at the club were ridiculous at the beginning of the season and it seems to be a recurring theme, I don’t understand why so many of our players get injured? I cannot figure it out at all, call it a curse if you want but I would love a run of a couple of months even where none of players end up picking up an injury. ones ,unfortunately .and little has gone right this season ,whereas last season everything turned to gold; Well, near enough, anyway. I do not think we will make all those signings in January as the Author believes. I do think we will try for another RB, but TWO Forwards I doubt. Some big decisions have to be made between now and the end of January. If we are still looking in trouble by then out situation will not be improved by the African League of Nations tournament where we could lose a significant number of the squad for around a month.